The typical ninetenth century warehouse was a multistory building. Early in the 20th century forklifts were invented. By the 1950’s they were widely in use. Today using standard pallets and pallet racking, the majority of storage buildings are relatively simple one level boxes with increasingly higher ceilings. The multistory design concept is making a comeback however. Building designers have in effect taken the common one-level building and stacked a few on top of each other. In dense Asian cities, where suitable industrial land is very limited, numerous examples of multistory warehouses exist. Some of them having six or more levels. Each level might have a clear height of 32 feet. The roof level is sometimes used for car and truck parking or covered with solar panels. Up and down spiral ramps give trucks access to the multiple truck dock levels. Trucks in Asia are smaller, the spiral ramps used are too tight to handle the turning radiuses of longer American trucks. In 2008, the two story X2 project next to Heathrow airport was the fist in the UK to include ramps to access truck docks on a second level. Intertwining ramps handle heavy goods vehicles that are close to 40 feet long. The building is divided into eight industrial spaces with 20 ft clear heights. The first “ramped” multistory warehouse built in the US was completed in 2018 in Seattle, WA. Up and down truck ramps access a second level truck dock. The building is 85 feet tall, has three levels (26, 24 & 16 feet clear) with many elevators. The top level is intended for light industrial use. This multistory warehouse concept is most viable for urban “last mile” type locations. 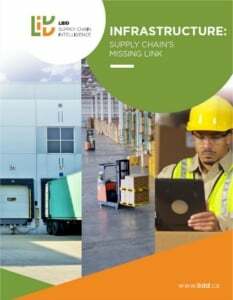 Several projects of this kind are in progress in highly populated areas like New York and Chicago at locations with very low warehouse vacancy rates and high rents. 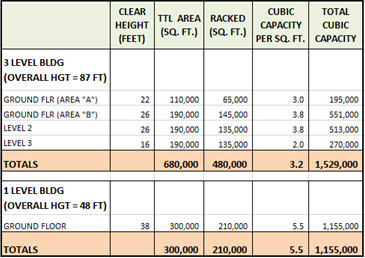 The table compares a conventional (42 ft. overall height) building to a 3-level building (87 ft. high) on the same site. The storage capacity per square foot is higher for the one story building. 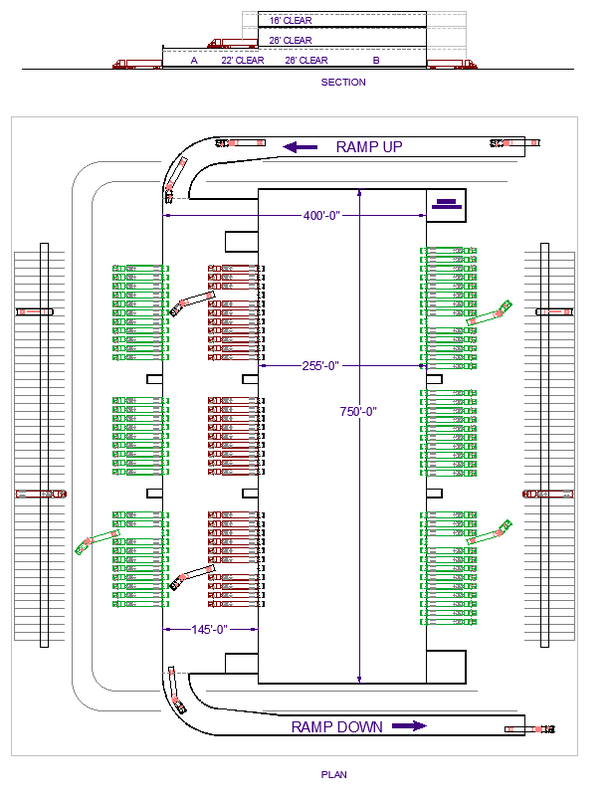 Floor level pick locations would be much higher in the 3-level building and throughput can be greatly increased with the added truck docks. Which building is the right design for a given location has everything to do with the costs of land, equipment and labour and the specific nature of a given operation.